Hey, Hamilton, wake up…or you’re going to lose your Tiger-Cats! Hey, Hamilton…here’s something for you to chew on…guess how many people outside your dysfunctional little hamlet give a damn about where you put that potential new Pan Am Games/Hamilton Tiger-Cats stadium? 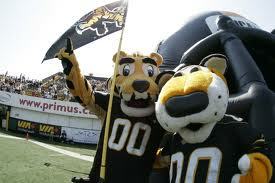 Since 1950, when the Tigers and Flying Wildcats merged, the Hamilton Tiger-Cats have been a football fixture in Steeltown.